Blue Eagle Lithium was founded to contribute to that global shift while taking advantage of the unprecedented economic opportunity it represents. Blue Eagle Lithium is a publicly traded (OTCMKTS: BEAG) lithium exploration and development company based in Henderson, Nevada. The company is engaged in identifying, evaluating, and developing early-stage lithium exploration opportunities. 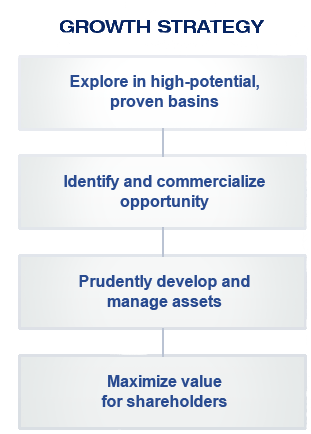 Our growth strategy is designed to maximize shareholder value through a singular focus on lithium exploration and development in secure and stable North American regions. Our business model is based on a lean, core team of experts while only retaining consultants and field services on an as-needed basis to minimize costs. While Blue Eagle is dedicated to rapidly becoming a key supplier of quality lithium to a quickly growing lithium market, we are also committed to sustainable resource development and the creation of long-term offtake agreements and partnerships with manufacturers. To execute our strategy of becoming a significant lithium supplier, we’ve assembled a team of proven industry veterans with over 60 years of collective industry experience in the financial, energy and geology fields. Blue Eagle Lithium was established in the state of Nevada in 2017 with the intention of exploring for Petro Lithium Brine. The company currently holds the licence on 4,000 acres of Railroad Valley Central Nevada, with other lease options in the prolific lithium state of Nevada. Railroad Valley is an isolated sedimentary basin which exhibits all the key attributes of a large commercial petro-lithium discovery. Blue Eagle Lithium has assembled a board of Industry Veterans with well over 100 years of collective experience in Mining, Oil and Gas, Geology and Geo Physics. By employing this capable team, Blue Eagle Lithium intends to evaluate its Railroad Valley acreage and illustrate proof of highly concentrated levels of lithium brine. Blue Eagle will also perform structural mapping and acquire seismic data from which it will then analyse and also inspect volcanic rocks to demonstrate which units might be lithium rich. The team will be fully integrated to undertake all subsurface evaluation techniques with surface and borehole analysis. Digital database formation will be combined with historical data digitisation and new data acquisition. that clean energy growth is an instant requisite for the nation and at Blue Eagle Lithium, we are keen to make long term pledges to take the pathway of sustainable development. We aim to create long term partnerships with lithium leaders and contractors to create a win- win model for the industry. under the strong credence that companies should make an effort both on sustainability and social accountability and pure business performance. It is very important for us that our corporate social responsibility programs and initiatives have an optimistic effect on our personnel and the societies in all the areas we work.